It's the 3rd Tuesday of the month, so that means dozens of middle school and high school Spanish students from all over the United States (and a few other countries as well!) will be chatting tonight on Twitter from 9-10pm EST. 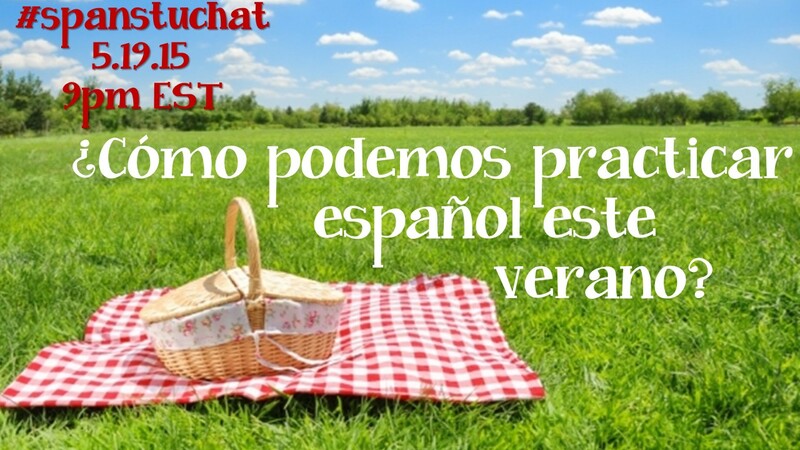 Two promotional slides from when I moderated #spanstuchat last school year. I started "lurking" in the chat (reading all the tweets without really contributing my own) in order to see the level of Spanish used and the topics. After a while it became obvious that it can be as easy or challenging as students want to make it: some students really think through each word and submit a simple one thought answer, while others add complexity, look up new words and comment on others' tweets. I incorporated in to my classroom for the past two years by offering it as a choice homework assignment option (1 of 5 throughout the week) because I knew not all of my students had or were permitted to use Twitter that late at night. Each quarter I also used one chat as an extra credit assignment: you got 10/15 for answering all questions in Spanish in live time and to earn the other 5 points you had to engage in an organic exchange with someone about their tweet. Additionally, if I looked ahead and realized a topic would be beyond my student's knowledge, I made Google Doc help sheets and tweeted them out earlier that evening so they could prepare. 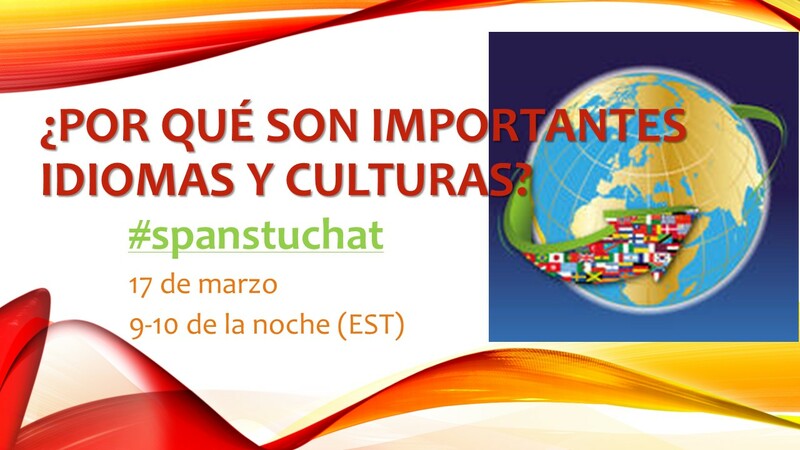 It was one of those cool moments where a handful of students who didn't always engage in other assignments RELIGIOUSLY participated in #spanstuchat and even promoted it for me among their classmates. I strongly encourage all Spanish teachers to check it out tonight and then brainstorm ways of using it in your classroom this semester! Social media can be an educational tool...you just have to leverage it to YOUR advantage. Have you participated? What did you think? Read about fellow Spanish teacher Allison Weinhold's experience here!